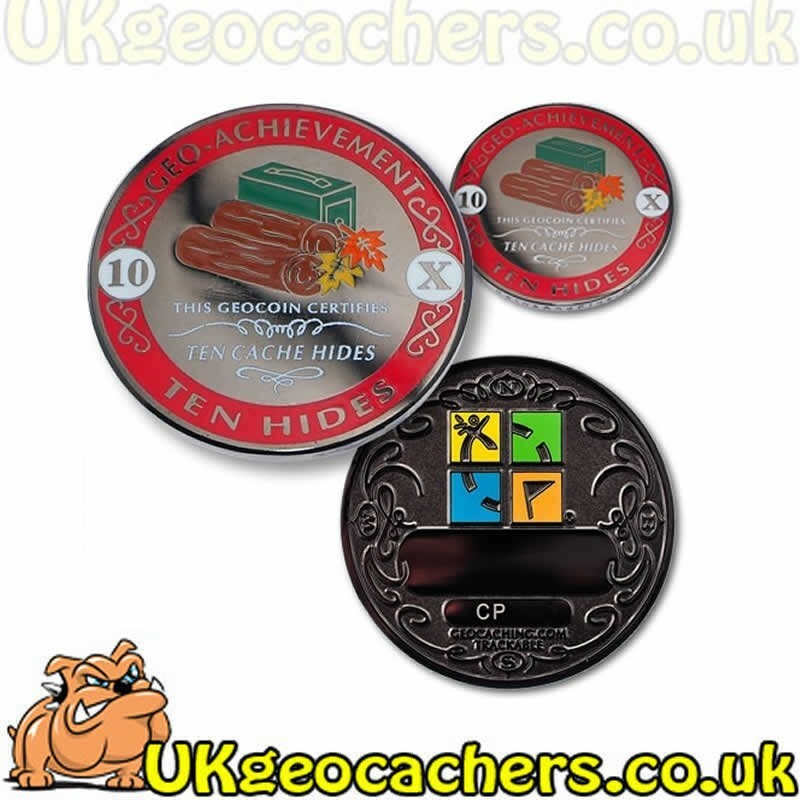 This attractive achievement set makes a great gift to either yourself or for someone else. Why not commemorate your 10th Hide with this special set. Comes with a trackable coin which has a small space on the back where you can have something engraved to personalise the coin. 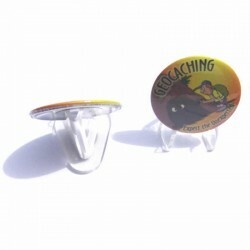 This set also has a pin badge and a geocoin stand.